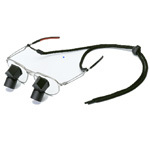 PENTAX PRISMVUE Loupes are prismatic surgical loupes incorporating PENTAX's unique deflection prisms and offer the user with bright magnified view of the operating field while standing upright and facing forward. Available in two types: with and without eyeglass lenses. PENTAX TTL (Through-the-Lens) Loupes are the world’s first surgical loupes incorporating PENTAX's unique deflection prisms. The product allows surgeons to operate in a natural posture. It is fully customized and no need for adjustments. 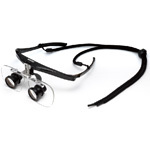 PENTAX USYFITVUE SP1 are linear prismatic loupes with high power magnification (5.0x) providing bright field of view. 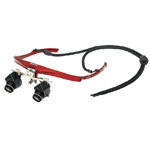 Focusing and loupe positioning are adjustable. Available in two types: with and without eyeglass lenses. 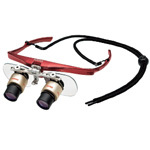 PENTAX USYFITVUE GP1 are light weight Galilean loupes with adjustable focusing and loupe positioning. “SUPERPORE” was developed by applying “Triple pore structure” of APACERAM Type-AX to absorbable tricalcium phosphate ceramics. It has excellent bone regeneration and show balanced absorption of material and bone tissue replacement. Three types of products with various porosity (75 – 57%) and strength (compressive strength: 5-48 MPa) are available depending on the applying area and intended use. Blocks and granules are available for each type. “ReFit” is a bone graft substitutes made of hydroxyapatite and collagen composite. It becomes elastic when hydrated. As a result, it can be packed or placed to bony voids without leaving any gaps. It can be easily processed with a scalpel or scissors. 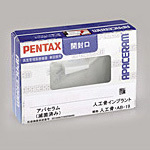 Biocompatible ceramic bone graft substitute “APACERAM” is widely used in the medical field. Hydroxyapatite (Ca10(PO4)6(OH)2) has an excellent biocompatibility and biological safety. There are a variety of models with wide porosities depending on intended use and area applied. 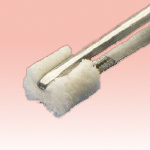 Among them, APACERAM Type-AX is a bone graft substitute that has a unique pore structure originally developed by our own technology. It is a triple pour structured hydroxyapatite with 85% porosity. 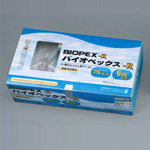 “BIOPEX-R” is calcium phosphate cement which consists of powder and the liquid components. They are mixed in the operation room to deliver with an injector or by manually molding. It reaches compressive strength as high as 80 MPa in 24 hours afterimplantation. As a result, Reduction of ambulation time and improvement in QOL (Quality of Life) are expected. 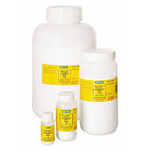 CHTs are chromatography media manufactured from our hydroxyapatite. They are spherical micro particles. Products of four different sizes i.e. 10, 20, 40 and 80 microns are available.